120 people have viewed this property this week. 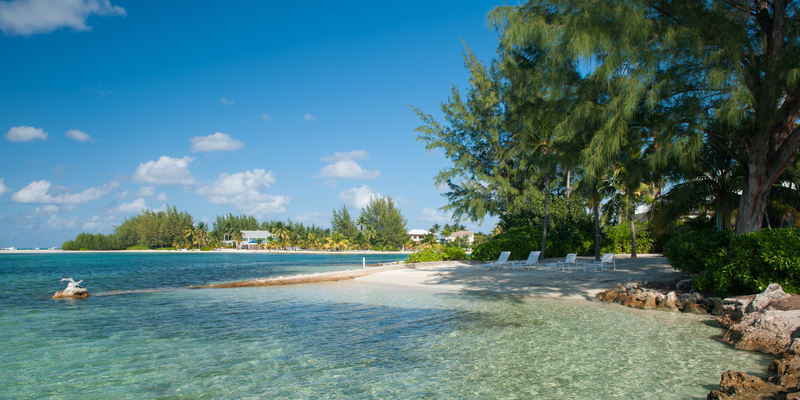 Fingertip is directly waterfront at the end of a sandy point in Cayman Kai on the north coast. This one story, extremely private villa is an excellent choice for a honeymoon, anniversary or just a small family vacation. The property ends in a palm-shaded, white sand beach, with lounge chairs and a hammock under the palms. The shallow, clear water offers barefoot swimming, however, we advise guests to wear pool shoes for protection. When combined with the modern, comfortable interior and exceptional privacy, Fingertip promises to be an memorable island getaway. 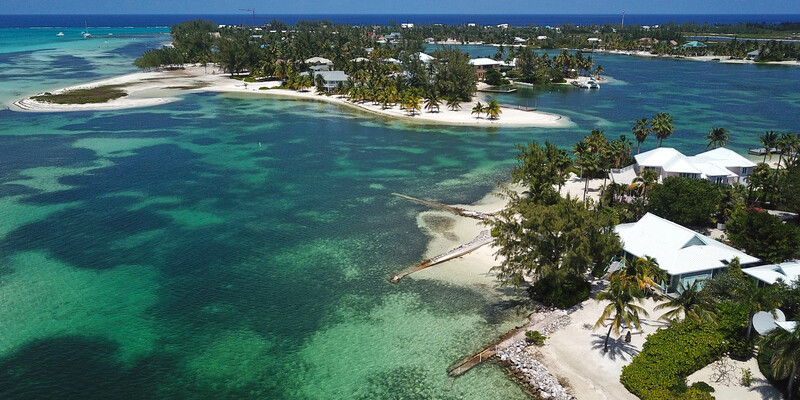 Location is the keyword here: Fingertip is only a 5-10 minute walk to the famous Rum Point Club and the Kaibo Yacht Club. After watching the sunset from Fingertip, the next most pressing question is whether to turn left towards Rum Point, or right towards the Kaibo for dinner and drinks. 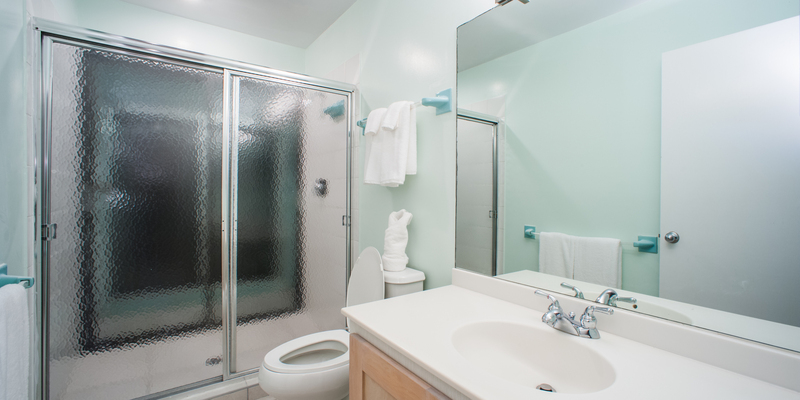 Oceanfront master king and queen suites with ensuite baths and large soaking bathtubs. Twin bedroom on the front of the house with adjacent bathroom and walk-in shower; twin beds can be converted to a king upon request. 24 feet of sliding glass doors disappear into the walls to join the screen porch with the main living area. The screened porch has plenty of comfortable seating, plus outdoor dining for 6. 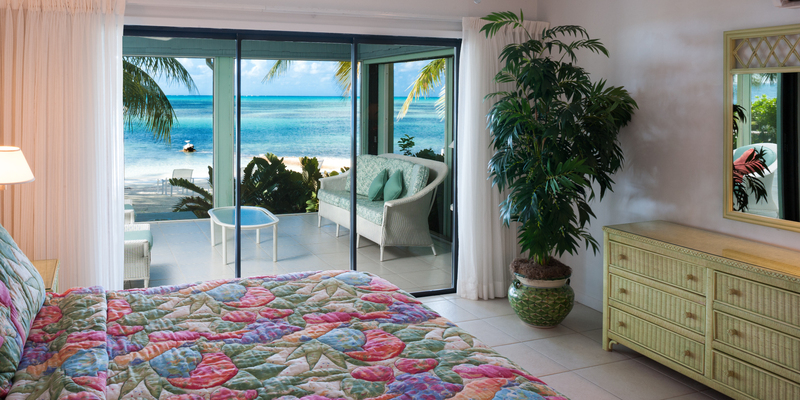 Oceanfront suites have direct access to the screened porch. The interior features sunny, open architecture. 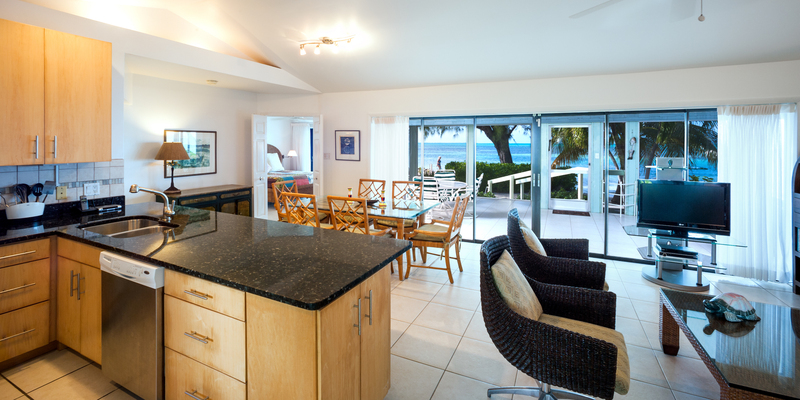 Oceanfront living room has cozy couches, flat screen TV and a fantastic view! 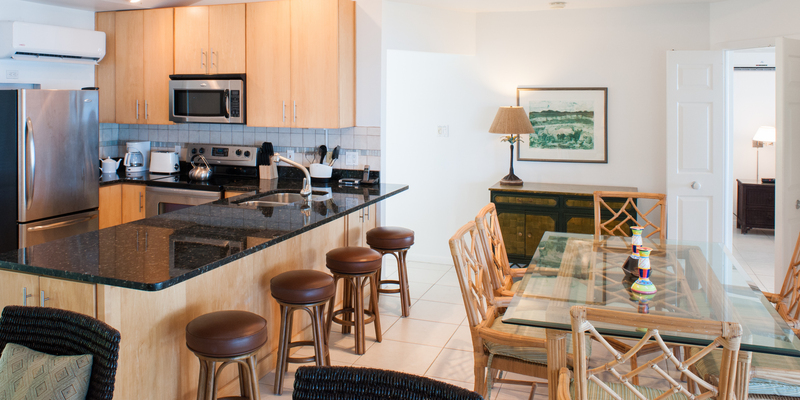 Full modern kitchen with standard appliances, dishware, cookware, cutlery and a coffeemaker. Dining table for 6, plus breakfast bar seating. Housekeeping service available as an option. Arrange directly with the on-island manager upon arrival. 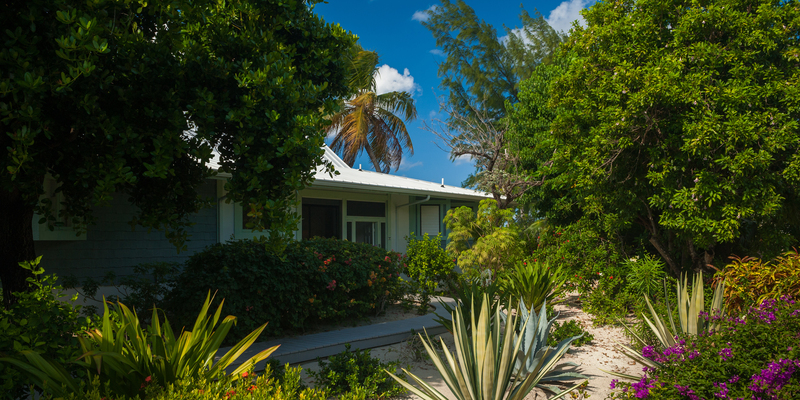 The homes on the sound in Cayman Kai offer the best beaches as they don’t have as much marine and plant life living in the shallows. The beaches are typically soft white sand. The homes facing west offer barefoot swimming and shallow calm water. 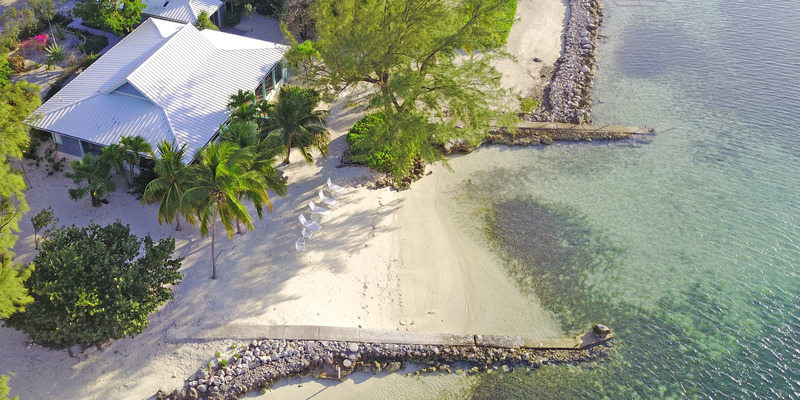 The sunsets are also wonderful, but the big draw to this area is the proximity to the Rum Point Club, a public beach club that offers a fantastic barefoot beach, many watersports, a restaurant bar and grill, a gift shop and pick-up beach volleyball games. Lastly, about 20 minutes east are two large resorts (Morritt's and The Reef) that offer manicured beaches as well as restaurants, a modern grocery store, liquor store, gift shops, a Subway sandwich shop, and a cafe/pastry shop. These two resorts also offer scuba, snorkel trips, jet skis, windsurfers, kiteboarding, ocean front pools and bar service. The place was fantastic. Everything was top-notch. The home itself, the location, the service. We will definitely be back. Our family has been going to Cayman for three years renting different homes along the way. This home is by far our favorite. We love the area where the the house is located as it is very tropical. It gives you the feeling that you are in a remote place while being steps away from Rum Point and Kaibo and at the mouth of the Bioluminescent Bay. Our family loves to kayak and we were able to kayak to all places mentioned above. The best part of the day was the sunset. It was as if the house was built so the sun would set directly in front of it! The white sand beach was big enough for our four boys to run and throw a football around while I relaxed on the hammock. The kitchen was stocked with everything to make big family breakfasts. The beds are very comfortable too! 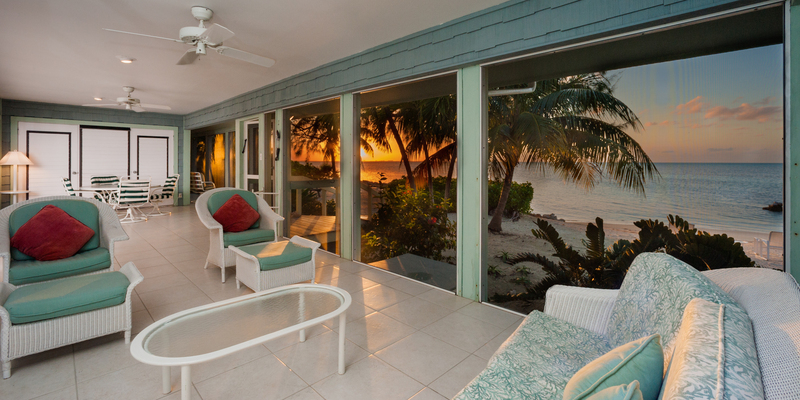 The lanai was one of our favorite parts of the house. After watching the sunset we would relax as a family listening to the waves.We met Chloe the house manager the last day. She came by to see how our stay was. We highly recommend this house! We had an incredible stay, the house was on such a beautiful location and so private. Chloe the property manager was so gracious and helpful. We will be back. My husband and I rented this home for a private get-away for his 50th birthday. The home and location could not have been more perfect. 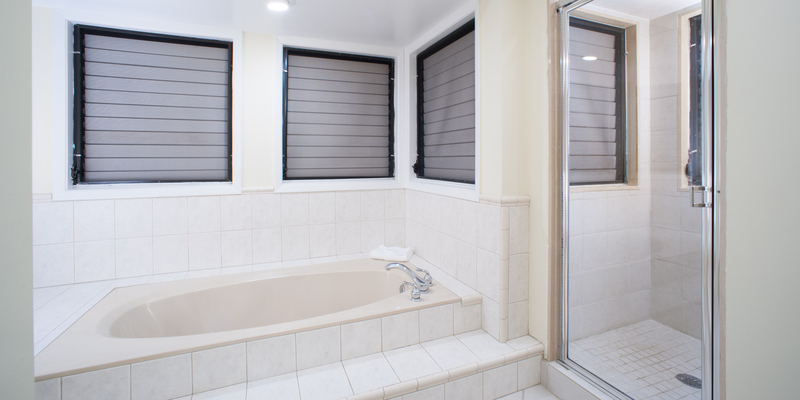 The privacy of the home was perfect for the relaxing vacation we were after. We barely left the hammock all week, finding it the perfect spot to relax, read, listen to music and watch the watercraft. The home contained everything we need and we bought groceries (including charcoal and lighter fluid to use on the grill) at the store in town. We ate at nearby Kaibo (both the beach restaurant and the upstairs dining and had coffee from the coffee house). We also rented jet skis at Kaibo and drove out to Sting Ray City. Next time I think we will rent a boat so we can spend more time there on that sandbar and also have our cooler, music, etc with us. A couple of kayaks would have been an awesome addition to our rental. We are planning to come back and bring my parents and our 9 year old sometime next year. The wifi and a/c worked great (two critical things in my book). You won\'t regret renting this home for a private, relaxing vacation. So glad you enjoyed your stay. The beach and view at Fingertip are among the best on island! Please bring your family back soon. The owner will offer a repeat discount for travel within 13 months. Wonderful Location! Very Private, lots of little fish along the rocks at the shore. 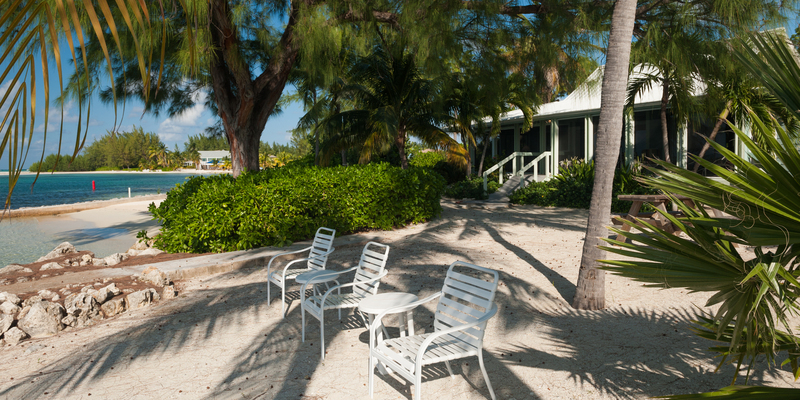 We loved the fact that you are on a wonderful soft sand beach the moment you step foot outside. Comfortable home, comfortable beds. 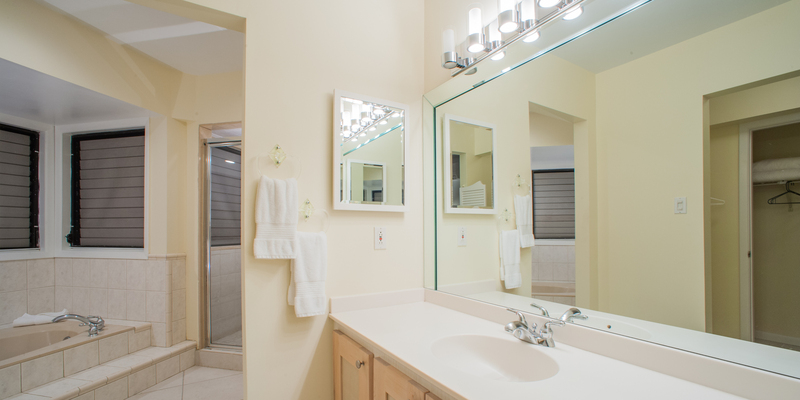 We had no issues with the house, and found the manager very friendly and welcoming. Called once to inquire about renting kayaks, quick response. I would be willing to pay a bit more a night if they ever included kayaks as rental is fairly expensive. However, being right at the entrance of the bio-luminescence bay, you have the best of both worlds at your back door. The waters are calm, very inviting. We did discover that swimming through shallow grassy areas may not be the best idea....\"sea lice.\" Microscopic ? jelly fish. Most of us were stung a little, but it was very minor and went away within the day. In the future, easy to avoid. (I just got caught up seeing the fish.) My husband had the time of his life enjoying the sunset, a drink, his music (we bright an iPhone speaker) and grilling (they have a small charcoal grill.) We cooked our on meals and the kitchen had all our basic needs. You may want to bring baggies for food storage. (Not many plastic containers.) For first time guests, I advise renting a car large enough for your luggage and groceries. Once you land, get your groceries first, in town. (The drive is about 40-50 minutes from the airport. This will save you time. If you plan to grill, be sure to buy charcoal and lighter fluid. There are nice places to eat close, but it\'s not cheap. Cooking saves money. It\'s a great family vacation. We will definitely be back! One more thought, keep in mind that the grocery stores are closed on Sundays. 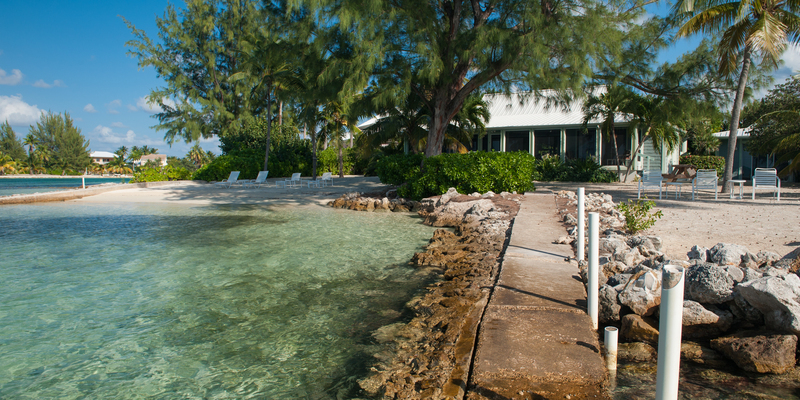 We have stayed in several houses in the Rum Point area and this was the best beach location for a relaxing, private vacation for us and our friends. 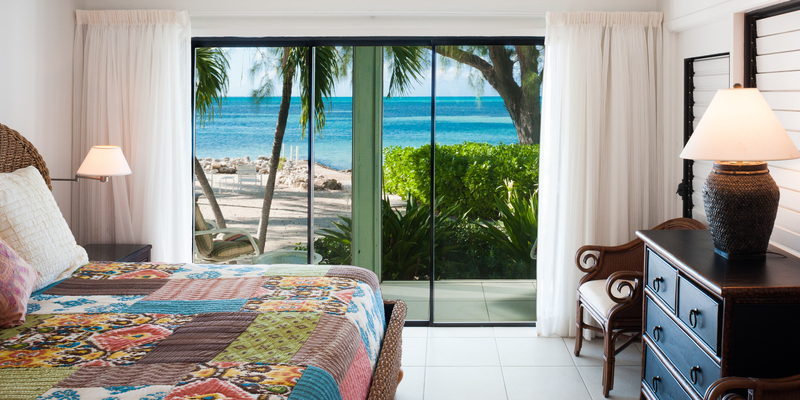 With two master suites right on the ocean we didn't have to fight for the best bedroom! The house had everything we needed and the property manager was very attentive. Jim from Grandcaymanvillas.net helped us with a private excursion to Sting Ray City and the reef for our friends who hadn't kissed a Sting Ray yet. Jim's knowledge of the island is unparalleled and their new Silver Thatch savings card saved us a few hundred dollars between all the restaurants and the boat rental. This house is perfect for 3 couples or two couples with kids. The sunsets from "our own beach" were unbelievable every night. Definitely a place to return to. Stayed at Fingertip with my family of four and parents. The house was clean, comfortable, and perfect for the six of us! Thanks for the memories!! This well kept home is as nice as the pictures. 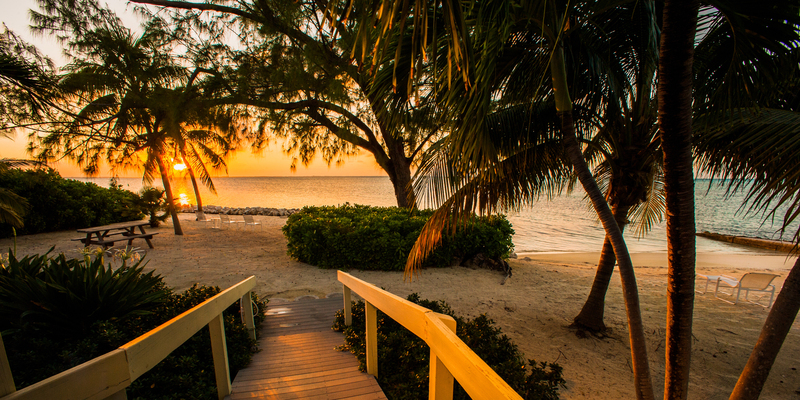 For folks who like to be away from the hustle of 7 Mile Beach this location is ideal. It can be a long drive to Georgetown, but with restaurants at Kaibo, Lighthouse, and Morrit\'s nearby, you can spend a whole relaxing week without a lot of time behind the wheel. The property manager, Chloe, was on site to greet us when we arrived, and we received a warm Cayman welcome. Chloe helped us arrange a phone to make some necessary telephone calls and she made sure we had everything we needed. It would be nice to have a kayak or two since that is a popular activity in this area. But other than that the house and visit were perfect. Fantastic Experience & a view that words cannot describe! 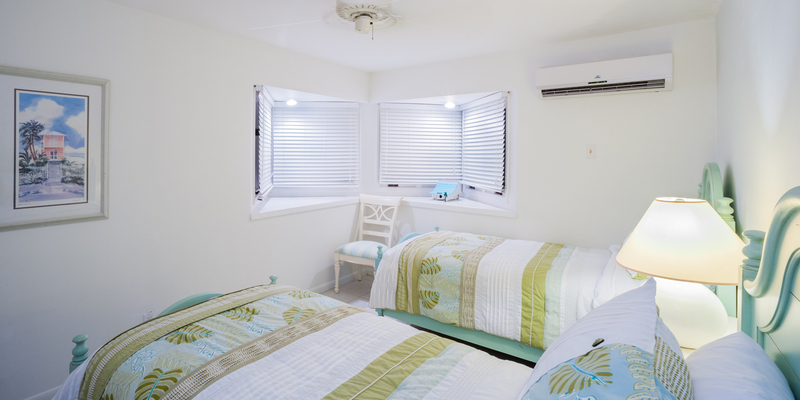 I wanted to let you know how pleased we were with our Cayman beachside villa! We stayed in the Fingertip Villa. Our villa was very clean and the amenities inside the villa (towels, comfort of beds, cleanliness of villa) were wonderful! We couldn\'t have been more satisfied! We were also very impressed by the villa manager Chloe Campbell! She stopped by the day after we arrived to welcome us and answer all of our questions. We also saw her another day. She was very friendly and professional! The location and views from the Fingertip Villa are out of this world - beauty like we had never seen before ! We hope to come back again someday! Thanks to everyone involved This is the first time any of us (3 couples) had ever traveled outside of the Untied States so we especially appreciated the help everyone gave us in planning and organizing our trip. Our stay at Fingertip has been amazing. The accommodations were perfect for our family of 5. The secluded beach provides for some of the most amazing views on the island. Its truly an island paradise and we look forward to many rerun trips! This well kept home is as nice as the pictures. 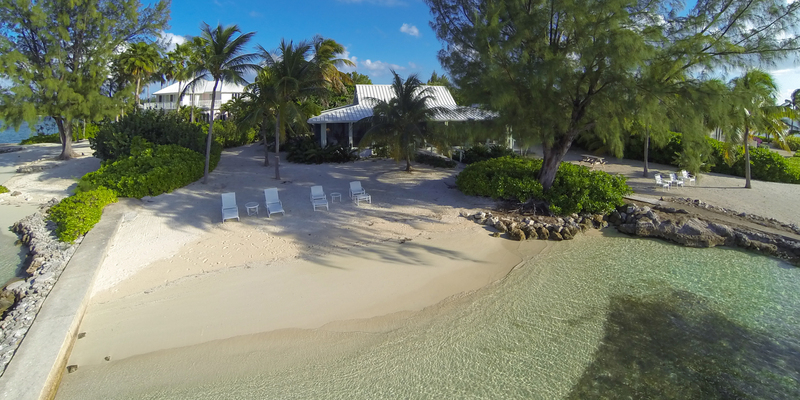 For folks who like to be away from the hustle of 7 Mile Beach this location is ideal. It can be a long drive to Georgetown, but with restaurants at Kaibo, Lighthouse, and Morrit's nearby, you can spend a whole relaxing week without a lot of time behind the wheel. The property manager, Chloe, was on site to greet us when we arrived, and we received a warm Cayman welcome. Chloe helped us arrange a phone to make some necessary telephone calls and she made sure we had everything we needed. It would be nice to have a kayak or two since that is a popular activity in this area. But other than that the house and visit were perfect.